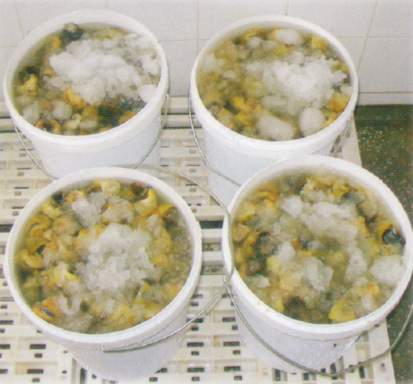 Boiled frozen topshell meat represents a significant share in our production and export. 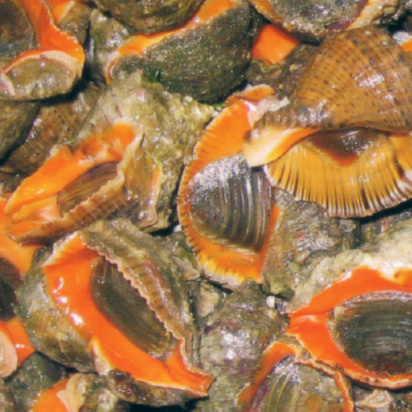 The Black Sea topshell is known by several synonymous taxonomic names Rapana thomasiana (Crosse, 1861) Rapana venosa (Valenciennes, 1864), Rapana bezoar (Linnaeus, 1758), Rapana pontica (Nordsieck, 1969). 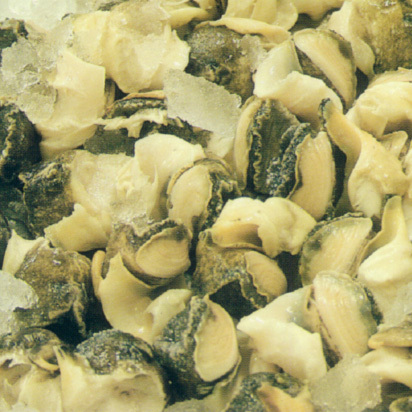 Its common names areL veined rapa whelk, asian rapa whelk, rapa whelk, Thomas's whelk, Rapana conch. 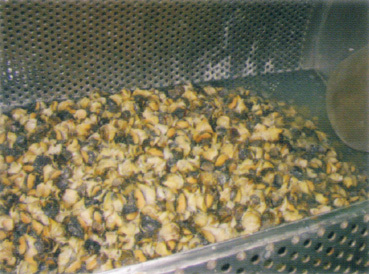 This whelk is popular for canning as Bai Top Shell. 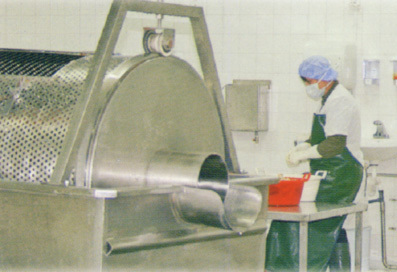 Production of frozen boiled top shell meat follows a traditional technology. Packing in cartons, two 8 kg blocks in PET bags per carton, 16 kg net weight per carton. 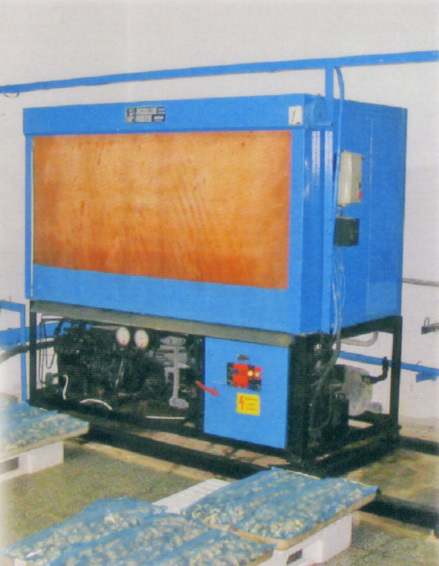 We continue to offer to our customers the same excellent quality as we have been for over 20 years of production.